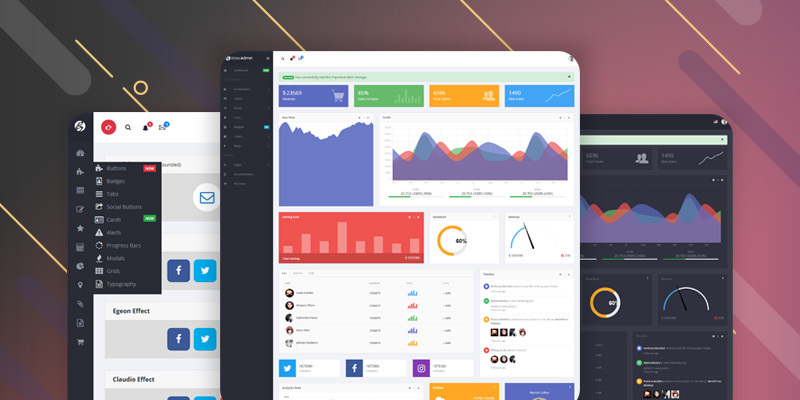 SimDash Pro is a stunning, visually attractive and feature-packed Bootstrap HTML Admin template. It has a great collection of features that you can use to power up your dashboard. Your dashboard would look great on all devices and the set up is easy. 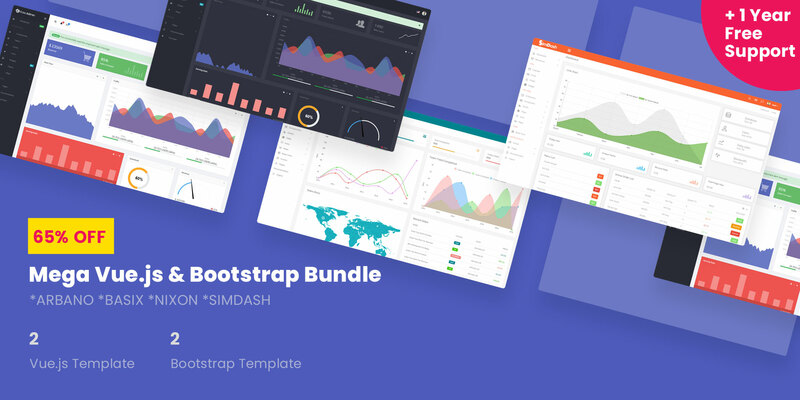 Built with Bootstrap, HTML and CSS SimDash Pro offers developer friendly code so you can easily customize the template as necessary. 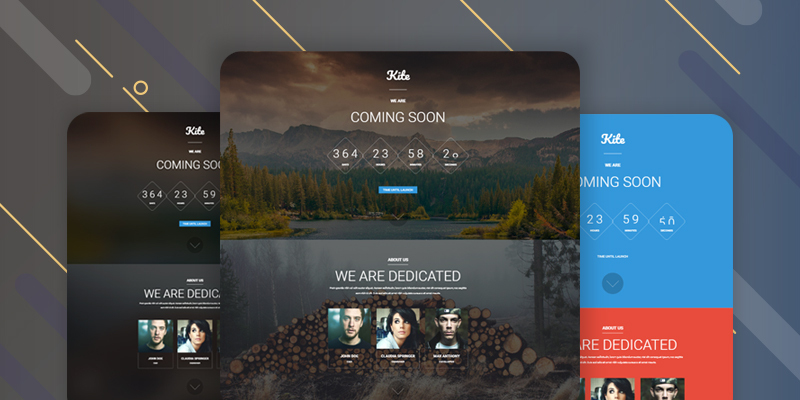 This beautiful admin template offers a great starting point for building backend of your application. 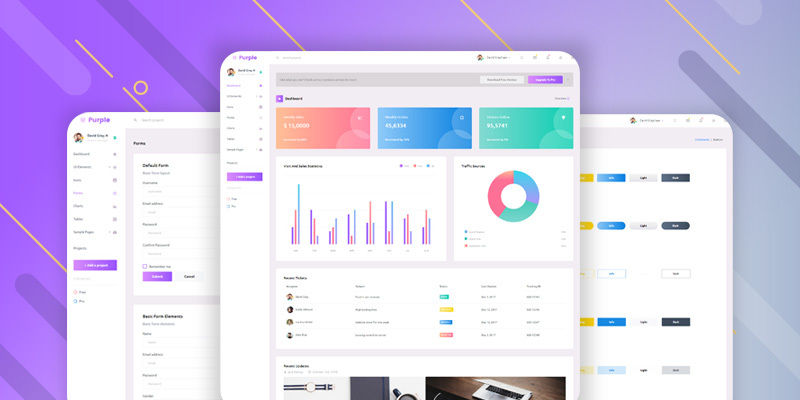 And if you’re looking to build clean and simple admin panel for cafes, restaurants, motels, inns and related businesses then you’re in for a luck. The SimDash Pro comes packed with extra modules and features that will come in handy for these types of business websites and applications. 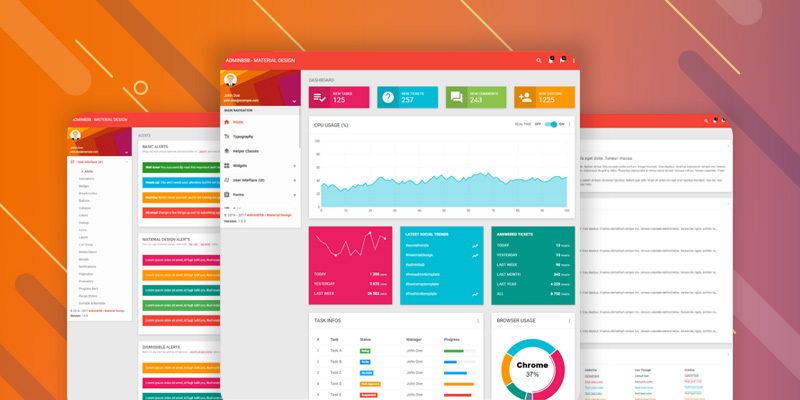 SimDash comes Pro comes with a clean design that will help you build a modular admin dashboard for your project. From the main dashboard template you can view sales graphs, menu items, order list, customer feedback, todolist among other things. You can also add interactive charts and tables representing your data. The library of elements within the template is quite rich. There is a rich collection of alert boxes, buttons, and other helpful elements. You can easily add forms too. The template also offers you to add important pages like login, register and forgot password. 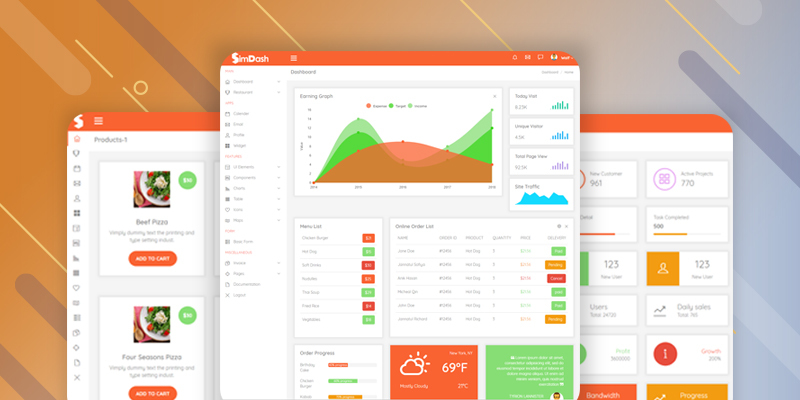 As you’d expect from a modern and competitive dashboard UI kit, SimDash has some great looking widgets for displaying charts and graphs to your audience. These charts can display data in a range of different ways with lots of useful additional features. As well as graphs, other UI elements you can add to your admin pages include simple and animated progress bars, a selection of buttons, message boxes, and more. Pre-built tabs and panels are included in the SimDash package, giving you an easy way to add stylish and interactive cards to your dashboard. Adding tables and maps to your pages is all within the standard functionality of SimDash. You can also use sweet alerts to let users confirm the action they are going to take. There is a useful menu items to highlight notifications, messages and user profile. There is an option to feature invoice too. The SimDash Pro packs in more features to the free version. There are more choices of Dashboard in the pro version. You also get all necessary pre-built features like Menu, Order list, Booking, and Upload Menu options which will be helpful if you’re building application for restaurants.